Barbados may be known for its gorgeous beaches, but before you head out to these sandy patches of paradise, take the time to explore the island nation’s only true city —Bridgetown. 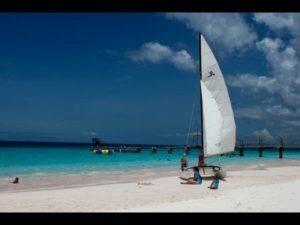 This Caribbean city and holds the biggest population in the country, and offers curious visitors a look at Barbados’ rich culture and history. While the city may have established quite a number of modern structures like office complexes, shopping malls and banks, Bridgetown has still managed to preserve a number of its most precious historic sites and colonial buildings. The city maintains a very energetic atmosphere enhanced by its vibrant streets, regularly occupied by eager vendors of various goods and fresh produce. Here, you will get plenty of opportunities for duty –free shopping especially in areas like the Broad Street. It is also very easy to find local crafts in the city’s street markets. Most of the important tourist sites in Bridgetown are within easy walking distance from the city center. And fortunately, the city buses serve most of these destinations. Take note that Bridgetown is one of the oldest cities in the Caribbean. 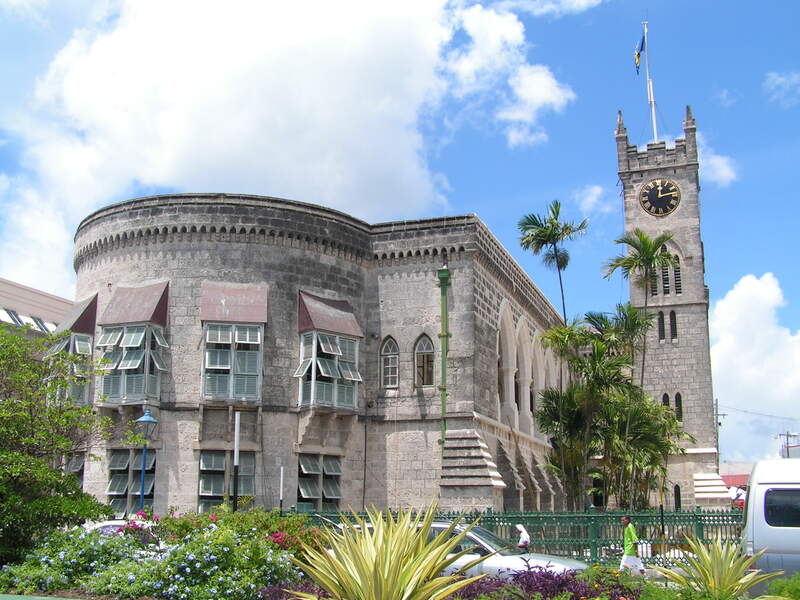 While here, don’t miss the chance to walk around its fascinating historical section, which is home to the city’s most precious architectural landmarks, including the Parliament Buildings of Barbados. These buildings exude the exquisite neo-gothic design and were constructed in the late 19th century using coral limestone. One of the impressive features of the buildings is its glass windows, which depict the different British monarchs. Its west wing houses the government offices, the clock tower, the Parliament Museum and the National Gallery. And if you walk to the east wing, you will find the Senate and House of Assembly. The Barbados Garrison is another significant historical landmark in Bridgetown. It fact this garrison is listed as a UNESCO World Heritage Site as it is considered to be the largest of its kind during the 18th and 19th centuries. These days, the garrison houses the Barbados Defense Force, but it has other sections that are worth visiting. 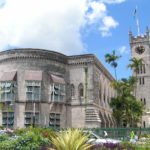 Some of these sections include the St. Ann’s Fort, established in 1705; the Georgian style mansion called George Washington House; and the Barbados National Armoury, which maintains a massive collection of iron cannons, made during the 17th century. Another important building found in the garrison is the Barbados Museum, which can give you great insight into the island’s history through its extensive exhibits and galleries. In the exterior portion of the Barbados Garrison lies an oval green space, which is used as a park and venue for sporting events, horse races and parades. Make your way to the city’s natural harbor called Carlisle Bay, which also plays hosts to regular water sports events. If you walk to the southern side of the bay, you will find the popular Pebbles beach, which is frequently visited due to its soft white sand and perfectly calm water, suitable for swimming. If scuba diving is something you would like to do, arrange an excursion to the Carlisle Bay Marine Park, whose ocean floor is occupied by a couple of old shipwrecks. If you are content just staying on the beach, comfortably sitting on a sun lounge and protected by an umbrella; then you should seek out the Boatyard Beach Club. This club is conveniently equipped with a restaurant and offers a range of fun water-based activities.